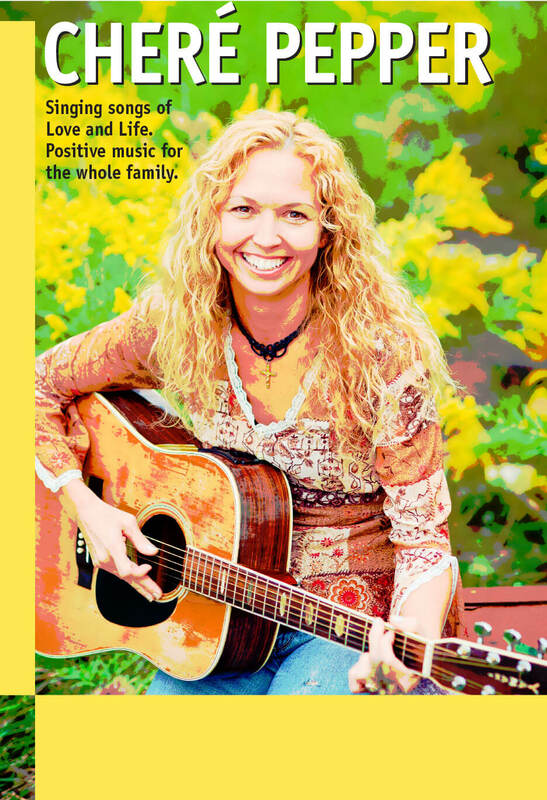 Chere’ Pepper is prolific songwriter and a Grammy Considered Nashville Recording Artist. She resides in Dansville Michigan with her husband and four boys. Chere’s music is a mix of several different genre labels. An industry reviewer once said she is “too unique and uncategorizable” but that has not stopped Pepper from continuing down her own road of originality and prolific writing. She writes all styles of music and her vocal stylings reflect the change but her soulful Country roots can be heard through the pop/rock music stylings of her recordings. She performs acoustically, most often described as an Acoustic artist with a Contemporary feel, appealing to all ages. Chere’ began singing and playing guitar at age 5, listening to Loretta Lynn on the radio and studying songs and their structure. She fronted a Country band at age 12 but the Lord called her to sing for Him early in her 20’s. Since then she has released 8 Solo Projects, 5 Contemporary Christian Albums, and 3 Country Pop Nashville Recordings. Her career soared with the 2014 Grammy Considered “Armor Of God” release, then she crossed over with the release of her first Mainstream “Chere’ Pepper” Self Titled release featuring the single “Cowboy Boots”. A song about her life, and the video includes her husband. Chere’s September 2016 Release of “Jesus and My Gun” has caused a stir in the heart of America. She shares this song in Mainstream performances and Churches alike.